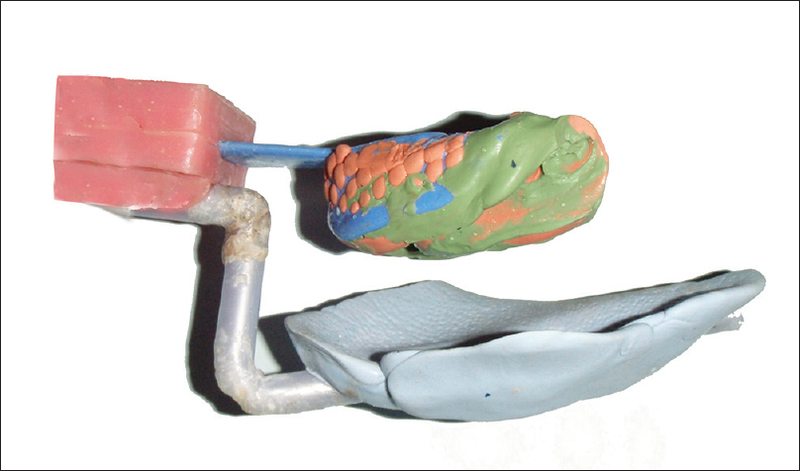 The primary factor that determines the success of implant is the amount of available bone in the edentulous site. Diagnostic imaging and techniques help to develop and implement a cohesive and comprehensive treatment plan according to the available bone. 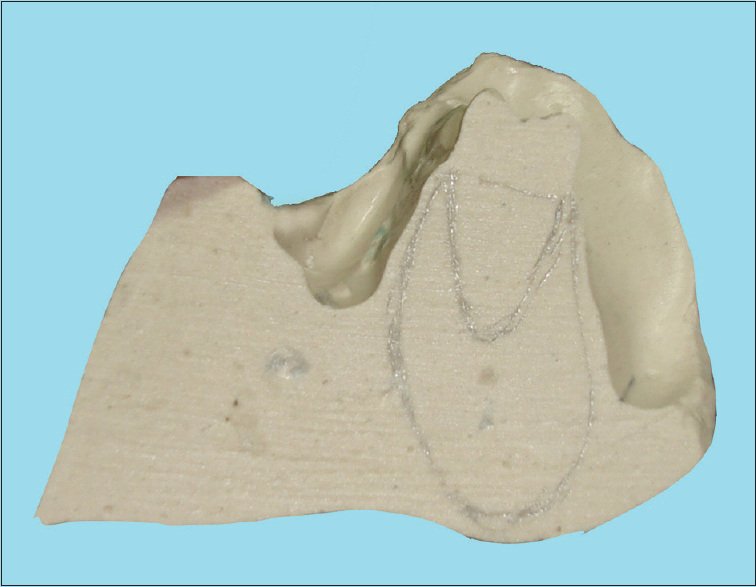 In the following case report an innovative simplified method (poor man CT) is used to fabricate a three dimensional model to assess the available bone for implant placement in mandible. Many imaging options have been recommended for implant treatment planning. However, neither buccolingual width nor angulation can be properly visualized on the most traditional radiographs. 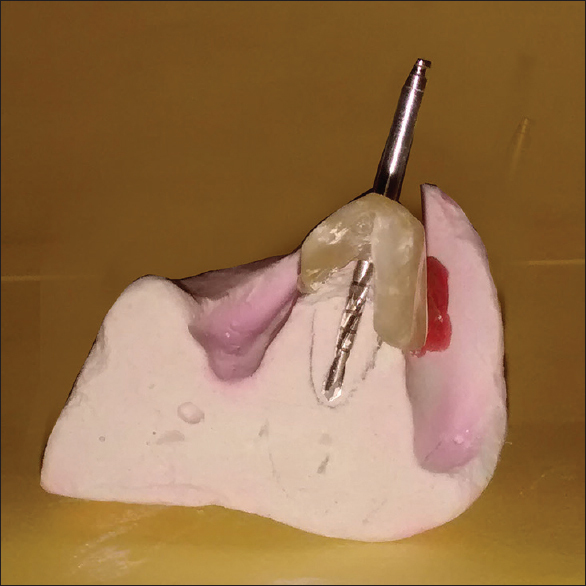 In the following case report, an innovative simplified method without radiation is used to fabricate a three-dimensional model to assess the available bone for implant placement in the mandible. 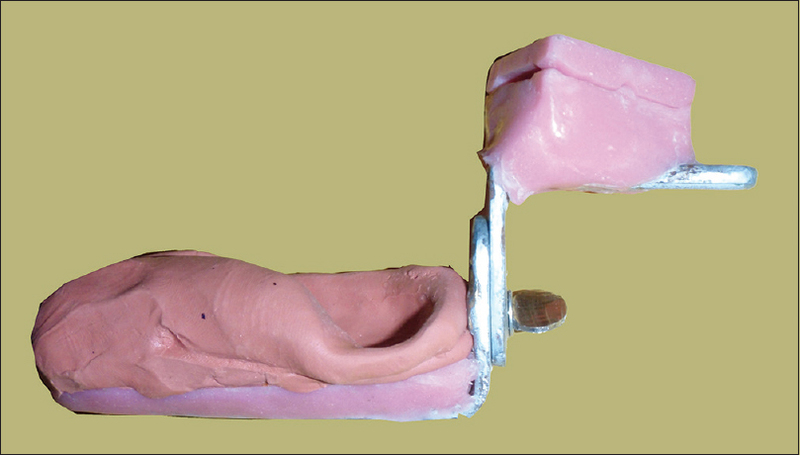 Even a minor variation in comparison to ideal placement causes difficulties in fabrication of final prostheses. 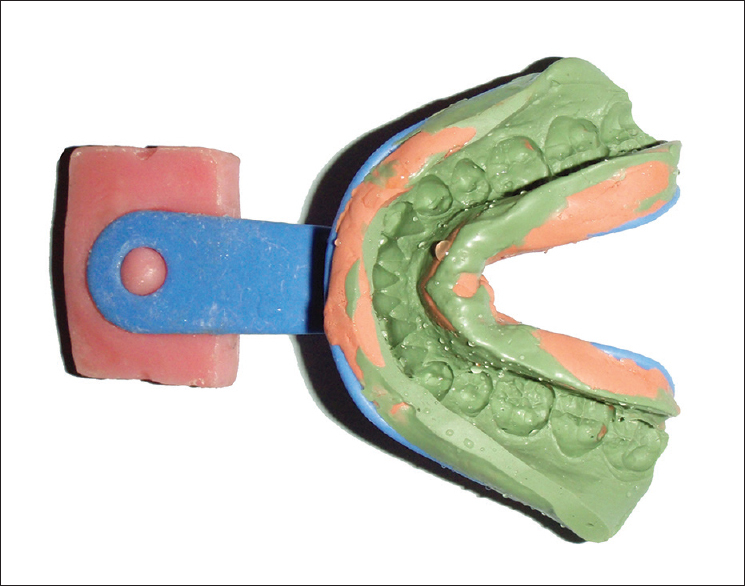 , Three-dimensional model achieved can be used to fabricate surgical guide. The surgical guide is essential to establish a logical continuity among diagnosis, prosthetic planning, and surgical phase. 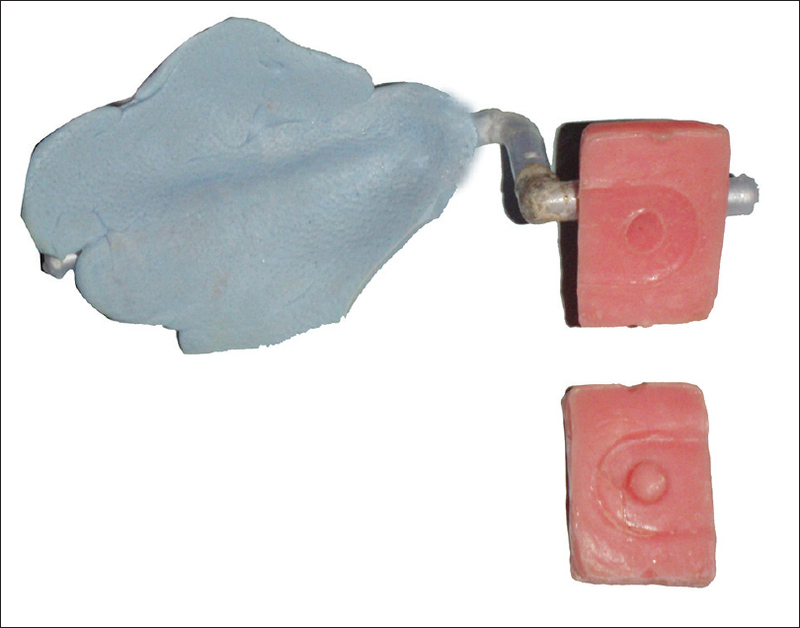 Fabrication of three-dimensional model The intraoral impression was poured first to get a cast. 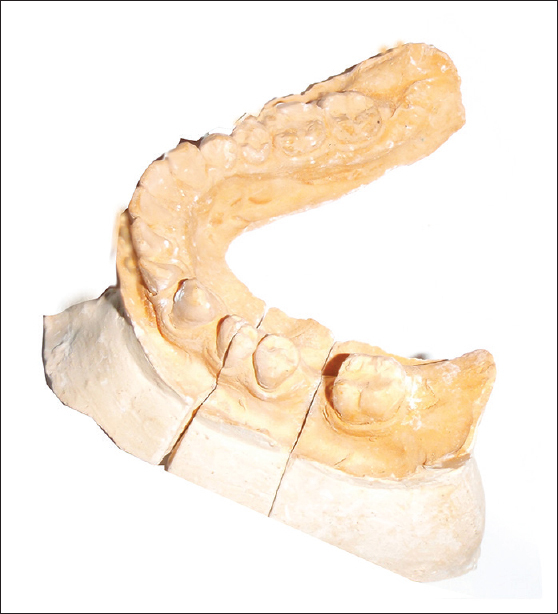 After the initial setting was over, the entire assembly was poured, and a three dimensional model of the mandible was fabricated [Figure 7]. The accuracy of this method was verified with computed tomography (CT) scan. The cross section where the mandibular premolar teeth were disappearing from the CT image was taken (14 mm depth) as a reference and measured to get the available bone width buccolingually (8.7 mm). This measurement was same when compared with the available bone in the sectioned cast at the premolar area, at a depth of 14 mm (premolar root length). 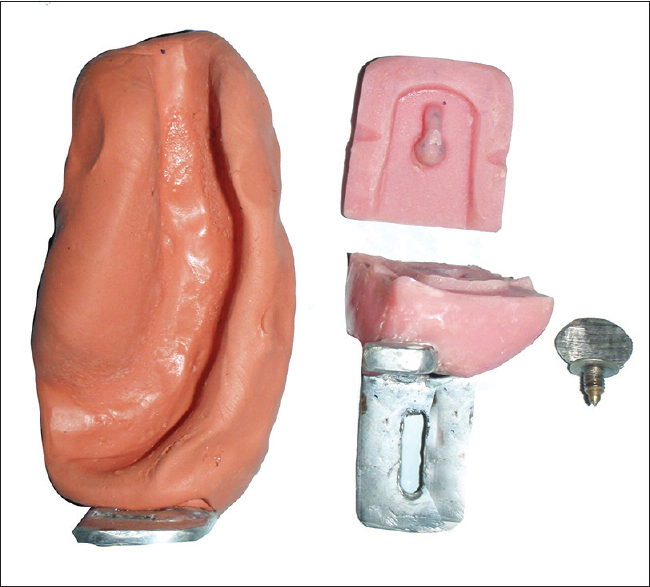 On the three-dimensional model, the surgical guide was fabricated [Figure 8]. This surgical template can dictate the implant body placement that offers the best combination of support for the repetitive forces of occlusion and esthetics. This article had won the best table clinic award in 35 th IPS conference conducted in New Delhi 2007 by Army Dental Corps. Garg AK, Vicari A. Radiographic modalities for diagnosis and treatment planning in implant dentistry. Implant Soc 1995;5:7-11. Widmann G, Bale RJ. Accuracy in computer-aided implant surgery - A review. Int J Oral Maxillofac Implants 2006;21:305-13. Takeshita F, Suetsugu T. Accurate presurgical determination for implant placement by using computerized tomography scan. J Prosthet Dent 1996;76:590-1.